Make sure you never lose your spot in your favorite book when you use this personalized photo gift to mark your place! Pick out a favorite photo of family or friends and create your very own unique and special bookmark for everyday use. Our Personalized Photo Bookmark measures 2" x 3". Free personalization of any name and photo is included. Just simply upload any digital photo below. For production purposes, please enter a detailed description of your photo. Additional Details This is one personalized gift that friends and family members would love to receive for just about any occasion. From birthdays to gifts "just because", readers everywhere will want their very own personalized bookmark. 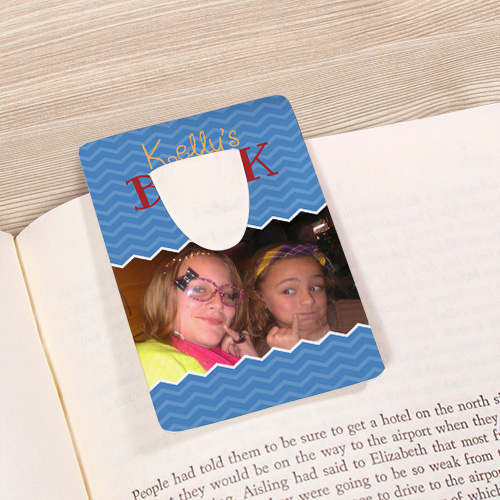 Our Personalized Photo Collage Bookmark is another great photo gift option.